Thank you so much for dropping by to see what Adelaide Chicken Sitting Service is all about! I am NOT a shop, a vet, a breeder/seller, pet rescue/sanctuary, nor a kennel. BUT I AM your poultry support service that comes to your home. I'm Janine Zschech. 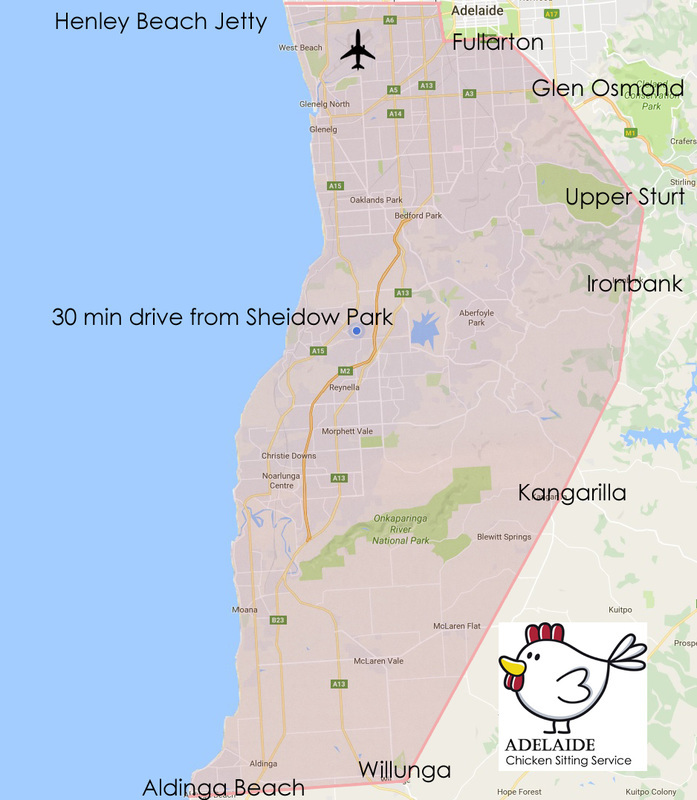 I am the owner and sole operator of the Adelaide Chicken Sitting Service, and I'm also a proud owner of my own suburban chickens for the past decade or more; many of which made their own way into my backyard via local neighbourhood rescue. I currently run a mix of very healthy hybrid and purebred egg/meat girls. I hatch chicks for my own yard, too, but not a commercial basis. I see my chickens right through their entire life cycle. I also run a brood of young children who are future farmers in-training as well as a hubby with a flare for cheese-making and knows a thing or two about farming; my right-hand man with the chickens. Prior to my city life in Adelaide, I was born and bred as a farmer; coming from a mix-farm with hundreds of genuine free-range chickens that roamed the entire farmyard and paddocks just West of the Barossa Valley. With the increasing popularity of chicken ownership in the cities throughout Australia, the need for a unique service like Chicken Sitting has become essential for anyone who wants to plan a get-away. It has to be affordable. I wanted to create a business that even I would love to use! This is my hobby business. You can rest assured that with almost 40 years of experience I know chickens and their needs well. My care for chickens and absolute genuine work-ethic ensures that I get the job done. My focus is on biosecurity which is key to keeping poultry healthy. Before taking on any jobs I like to chat and visit with the owner to get to know the yard layout, location of the feed/water, the needs of the flock and collect any keys for access, at no extra cost. Prices DOUBLE for locations outside of the half hour drive area. I want to give you the best service that you could possibly hope for. When you are away, your chookies will be in the safest possible hands. This is only an APPROXIMATE radius. Don't let owning chickens stop you from getting away! Raising hens is such a pleasure, however the need to get away for a weekend or a longer holiday can be difficult. - Most pet sitting services are aimed at dog and cat owners and charged per pet. I charge by per flock so you save. - Don't stress your flock with crating them up and moving them to a place that they don't know. - Keep them in their own healthy home environment, stress-free, awaiting your return. - Take advantage of the extra services on offer in the comfort of your own backyard! Take the stress out of having your chickens cared for by Adelaide Chicken Sitting Services. Caring for your chickens when you are away. Make a booking for a day, a weekend, a week or longer.